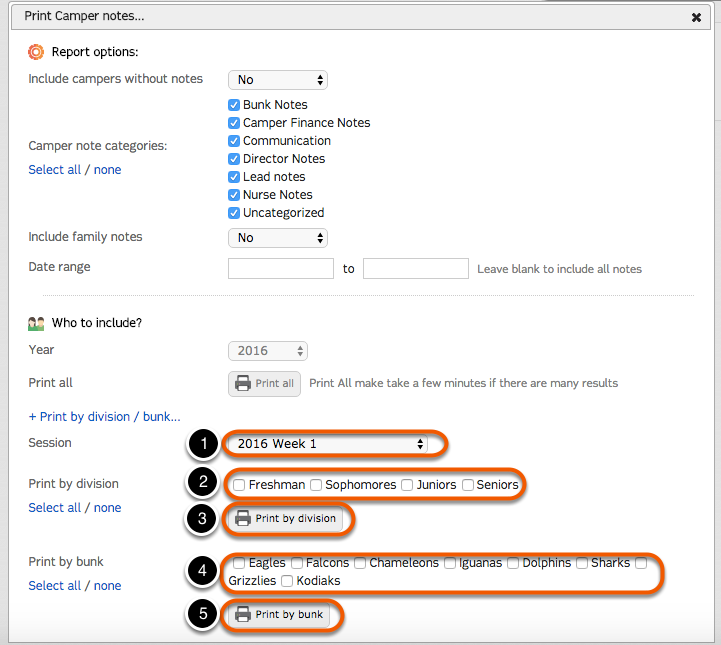 Printing camper notes allows you to print data from the Notes tab of the Camper Profile page, and gives you the option to include their family notes as well. 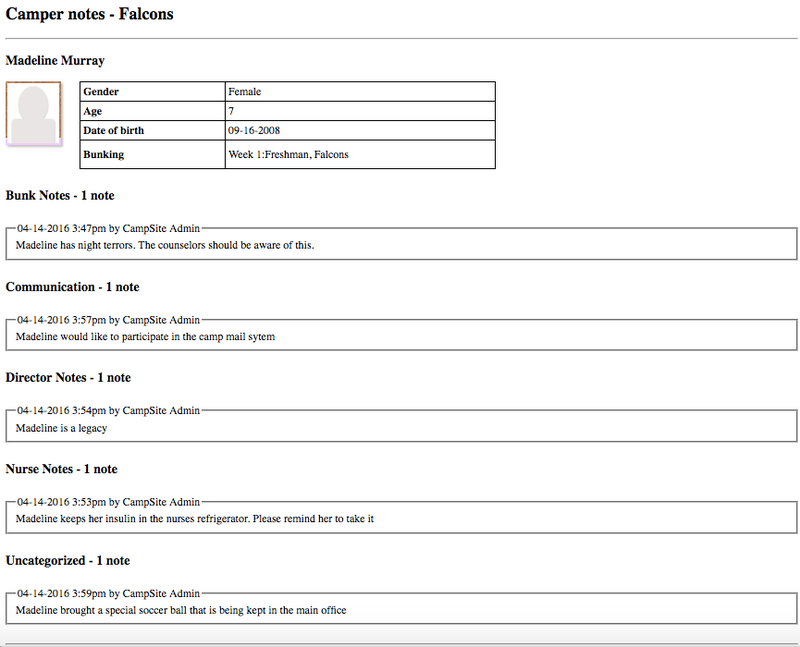 Camper notes can be printed as a mass list of all campers enrolled, or by division or bunk within an individual session. 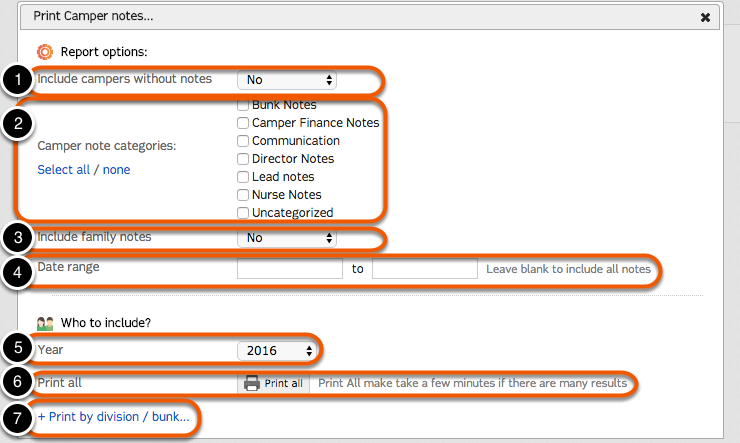 Select which Camper note categories you would like to show. Camper notes also include Camper's profile photos and basic info, as well as division and bunk assignments when printing by division or bunk.